The Current Genetic Trend is Commercial broilers & layers emphasis maximum growth in first week its which puts lot of performance pressure on chicks with undeveloped digestive, immune & nervous capability Besides, current starter diets are inefficient in providing balanced & easy to digest nutrients to the high performance breeds and adult birds. Ferrouse Sulphate - 464.84 mg.
Magnese sulphate - 790.24 mg.
Zine Sulphate - 439.4 mg.
Nutritional Supplement for chicks and adult birds. 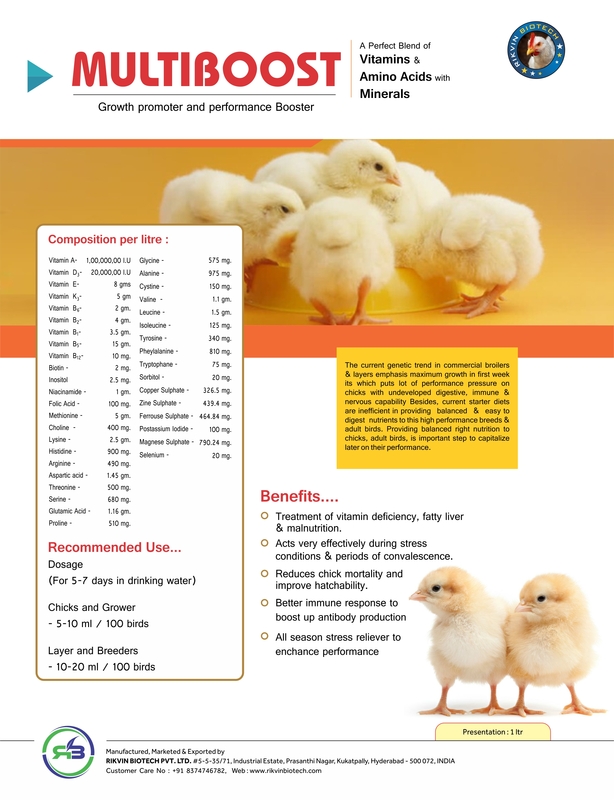 Prepares chicks to gain maximum weight during grower phase by hastening the development. Improves eating behavior, provides rehydration to newly arrived chicks. 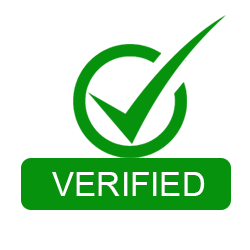 available vitamins, amino acids, fatty acids, energy etc. Treatment of vitamin deficiency , fatty liver & malnutrition. Acts very effectively during stress conditions & periods of convalescence. Reduces chick mortality and improve hatchability.